Disclosure: I was sent sample from the vendor in order to write up an honest review. All views shared are mine and mine alone. What a way to wrap a wonderful year being apart of the Good Cook Experts Blogger program, than with a Sweet Creations Cookie Exchange. I don't know about you, but it isn't the holidays without the house smelling like freshly baked cookies, and containers of cookies sitting on the kitchen island, waiting for family and friends to enjoy. And, this past weekend, with the mini norEaster that came through New England, we used this time to stay indoors and bake, bake, bake! While I think the girls are all baked out, I could still go on, as I have so many recipes from fellow Good Cook Expert bloggers that I want to try, as well as recipes I have flagged throughout the year to try for Christmas. If only there were a few more hours in the day to bake. Then, I would be in heaven. 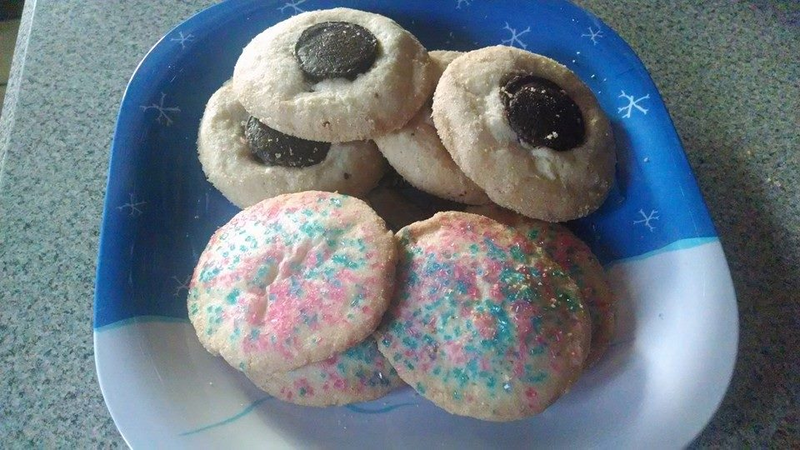 This past weekend, our Sweet Creations consisted of my family's "No Fail Sugar Cookie" recipe. Not only is this recipe easy to prepare, but you can double the batch and either chill in the refrigerator some, or freeze for a later date. The girls started off helping me prepare the dough, but then grew restless as you have to let the dough chill for a minimum of 1 hr. before rolling out and going to town with the holiday cookie cutters. 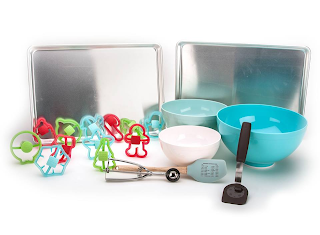 While we have storage containers of hand me down cookie cutters, and cookie cutters I picked on clearance after Christmas last year, I was eager to try out the new Sweet Creations cookie cutters from the Good Cook Sweet Creations line, I was sent to review and enjoy. In addition to the cookie cutter, the folks at Good Cook also surprised me with two cookie sheets, a cookie dropper (which I LOVE LOVE! ), along with a flex cookie turner, a high temp spatula, and a set of Sweet mixing bowls, with a rubber bottom to keep them in place when using an electric mixer or stirring -- all part of their Sweet Creations by Good Cook product line, which I have fallen in love with! :-) It felt like Christmas the other day when I opened the box and saw all the goodies to help me with the year end Sweet Creations Cookie Exchange, that I and other Good Cook Expert Bloggers were participating in. We made over 6 dozen cookies this past weekend, and are halfway through decorating them. Hopefully we will finish in the next day or two, as I want to package them up in the Good Cook Holiday Message Small Cookie Box, 3pks I picked up for only $4.99 online, and hand deliver to neighbors, leave for the postal driver, and surprise family and friends with this holiday season. This is the first year that the girls were able to fully help me in the kitchen. And, while they are all cookie'ed out, I know that they had a blast making different types of cookies and seeing how with simple pantry ingredients you can whip together delicious treats. They never objected to being taste testers, nor turned away a cookie. :-) So, I guess that each and every cookie we made was a winner. Now, to share these tasty treats with those we love, and appreciate this holiday season. 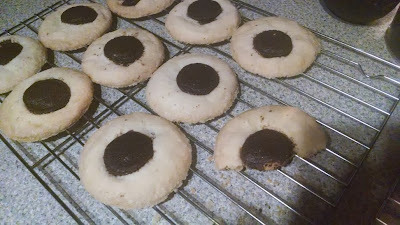 If you are looking for a tasty no-fail sugar cookie recipe that is great for cutout cookies, why not try my family's sugar cookie recipe? We love it, and use it year after after...and, I know you will, too. And, who doesn't like to save? Make sure you use coupon code "COOKIES" at checkout at www.goodcook.com to save 5% off any Sweet Creations product, including the ones I mentioned above that I received for the Sweet Creations Cookie Exchange blogger event from Good Cook. I love this time of year and making Christmas cookies all together and I love all of the great recipes thanks for sharing this one. I love baking at Christmas time! 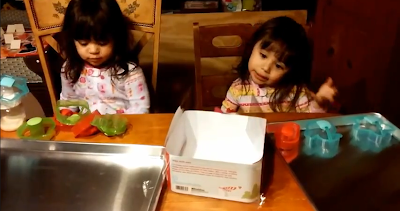 And it's even more fun when the kiddos help :) I'll have to try your recipe!